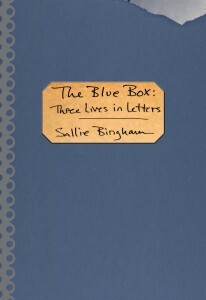 The first review of my next book, The Blue Box: Three Lives in Letters, is just in from the prestigious Kirkus Reviews from which many libraries order. I am particularly pleased because the anonymous reviewer recognized that this book is an aspect of American history—three women, living in Richmond, Virginia, between 1850 and 1931, whose lives spanned and incorporated some of the most dramatic changes of the 19th and 20th century: The Civil War and Reconstruction, Prohibition and World War Two, Women’s Education, Suffrage and Emancipation. Last week in New York City, I discussed the book at a luncheon given by my beloved Women Writing Women’s Lives, a group to which I’ve belonged since 1991 as one of their few primarily fiction writing women. These professional biographers, all with important works to their credit, extend me a welcome so genuine and so enthusiastic it is one of the places in the world where I feel most at home. We talked about the uses of fictional technique in the writing of non-fiction, how to imagine and create the subject’s voice when it is almost entirely lacking, as is the case with Doris Duke, whose biography I’m writing now, and who put down almost no words herself, leaving her legacy and reputation in the hands of those who wrote to her (often complaining that she did not reply, to whom she insisted that most letters after a period time answer themselves). These happy moments of recognition offset what now seems a less important display currently at the Morgan Library in New York: Carter Burden’s collection of fiction from the late 1950’s through the 1970’s. During some of those years I, too, was living and writing in New York. It came as no surprise that out of thirty-four books, only four were written by women, and these were the few women acknowledged at the time by the literary establishment: Tony Morrison, Sylvia Plath (From London, she wrote, “We went to the Faber party for Auden. I go mainly for the champagne”), Willa Cather and Zora Neal Hurston. Perhaps a curator noticed the imbalance, which may account for the glass cases just outside the exhibit: letters between Henry James and Edith Wharton. Praising James’ Portrait of a Lady for its “interior life of the heroine” brings into focus the lack of any such act of the imagination on the part of thirty of the writers displayed in the next room. James’ encouragement of Wharton in 1899, early in her career, would never have happened in the New York literary world I remember when “girls” were at best lovers or secretaries; look at the snapshots of George Plimpton’s parties for proof. When James writes Wharton regarding her subject matter, “Let yourself go in and at it. It’s an untouched field, really,” he is granting her an authority she perhaps did not yet feel to write her extraordinary novels of turn-of-the-last-century New York life. James; encouragement was Delicious and perhaps even vital, but we who grew up in a different era learned to draw our encouragement from other women—or, if worst came to worst, to go on without it. 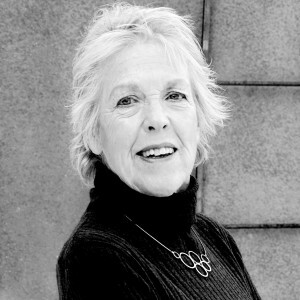 The matrilineal heritage of a successful author. After her mother’s death, Bingham’s sister found a blue box in the closet, a box “designed for some mysterious purpose, although it had rested undisturbed for decades.” Opening the lid, Bingham (Mending: New and Selected Stories, 2011, etc.) discovered a treasure trove of papers, a diverse collection saved by her great-grandmother Sallie, her grandmother Helena and her mother, Mary. 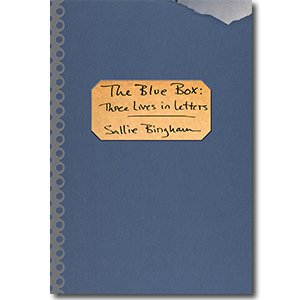 Marriage certificates, letters between two brothers enlisted in the Civil War, manuscripts for short stories and personal essays, and letters between Bingham’s mother and father as they danced around the idea of marriage for four long years filled the “soft cornflower blue” box. Using the contents, Bingham melds together a timeline and history of her three maternal ancestors, allowing readers a lovely glimpse into the lifestyles of women raised in the South. Excerpts from her great-grandmother’s memoir tell a story of vast change as Sallie experienced the Civil War firsthand. Parties led to suitors, which led to marriage to an Irishman who died an early death from tuberculosis. Helena’s short stories weave in and out of her personal narrative of an early marriage and children and the regret she felt over the punishments she doled out to keep her children in line. Bingham’s mother’s entries round out the trilogy, with clips from love letters between Mary and the author’s father showing their passions and fears as they circled around their love for each other. In the modern world of emails, Skype and a decided lack of handwritten correspondence, Bingham’s box of documents traverses time, offering insights into a world of women who knew their own minds long before the word feminist was ever considered. A memoir of three generations of women rich in historical detail. Congrats, Sallie; I look forward to the read. Looks like a winner… I am buying one. The long-awaited book is soon to be available and I look foward to it’s publication. Sallie, do you happen to know the date?